The Meisterstück Classique in deep black precious resin with elegant platinum-coated details, surmounted by the white Montblanc emblem, evolves into a distinctive design icon. 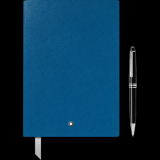 Exclusively packed as a set with a Fine Stationery Notebook #146 in a bright Electric Blue. 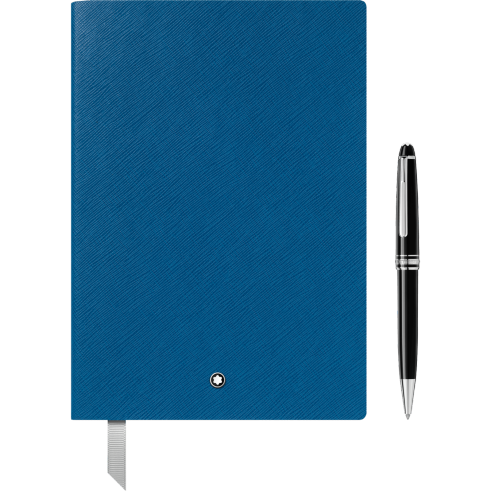 All Fine Stationery products are manufactured in Italy, crafted with the finest Saffiano leather and high-quality 85 g/m² paper with 96 sheets / 192 pages, watermarked with the Montblanc emblem. Dimensions 150 x 210 mm.